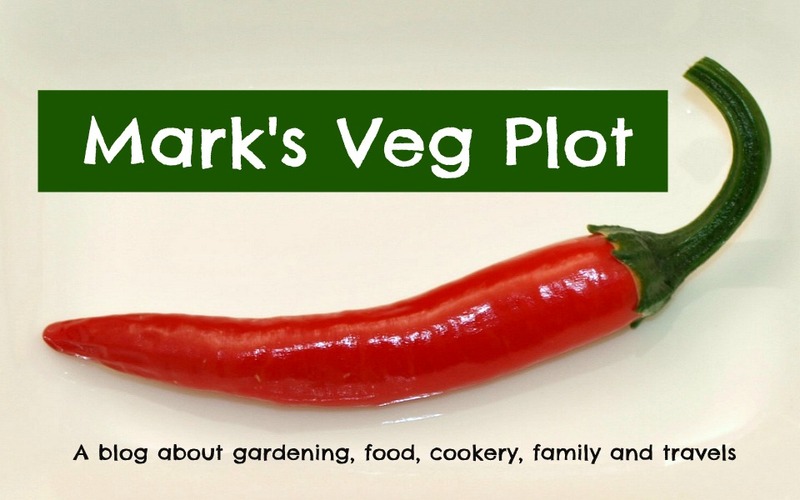 At this time of year I don't often write about food, because I normally want to describe what's going on in the garden. It doesn't mean that I'm not cooking though. For practical reasons Jane does most of the cooking, but I try to cook at least one main meal a week. So here is one of my offerings: Stir-fried Beef with Black Bean sauce and tomatoes. I'll admit straight away that I used commercial Black Bean sauce from a packet! This was the first stage of the proceedings - prepare and marinate the main ingredients. The meat I used was described as "Frying Steak". I sliced it into very thin strips so that it would cook quickly. My marinade included Garlic, Chillis and fresh Ginger, and was moistened with Soy Sauce. I used a number of different chillis, some to add flavour (especially the yellow "Aji Limon"), and some to add heat (e.g. the "Scotch Bonnet"). My intention was that the chillis would be discarded before cooking commenced, so I marinated the meat for about 12 hours so that the flavours had plenty of time to permeate it. I made sure to chop everything up small and I used my hands to mix everything very thoroughly before covering the bowl with clingfilm and placing it the fridge. I lifted my marinating meat out of the fridge about an hour before cooking-time, to allow it to come up to room temperature. When you use the stir-frying method of cooking you need the wok/pan to be very hot so that things cook quickly, and putting very cold meat into the wok would reduce the temperature too much. At this stage I also fished out the bigger pieces of chilli from the marinade. I didn't fancy the idea of munching-down on a large chunk of Scotch Bonnet! This meal was just ridiculously easy to cook! I cooked some rice in the electric rice-cooker. You put in the dry rice, add twice as much water as the volume of rice and switch on. Half an hour later you have perfectly-cooked rice. What could be simpler? Cooking the main dish took less than 10 minutes. I put a tablespoon of vegetable oil into the wok, and heated it up to a very high temperature. I then tossed in some thinly-sliced red onions, and stir-fried them until they began to soften. Then in went the beef, along with a large (mild) red chilli (de-seeded and cut into large pieces) and a bunch of Spring Onions (cut into 3-inch lengths), and stir-fried for about 3 or 4 minutes. At this stage the dish didn't look particularly colourful, but wait till you see it after the tomatoes were added! I had previously skinned the tomatoes, and removed the seeds. Incidentally, in case you don't already know this, skinning tomatoes is really easy. Cut a cross in the stalk end of the tomato, at least as deep as the skin; put the tomatoes in a deep bowl and pour boiling water over them. After 30 seconds, remove the tomatoes with a slotted spoon. You will find that the skins now peel off very easily. They may even slip off without the need to use a knife. Is that colourful, or what??? I have to say that this meal was not the sort of thing I usually make. I tend to go for things that require longer, slower cooking, but my repertoire is expanding rapidly. I think the key to success with a dish like this is careful preparation of the ingredients in advance, and the courage to cook at a very high temperature. In respect of the latter I was considerably aided by the fab new Delimano ceramic wok that Jane recently won in a competition. It heats up very rapidly and maintains a very even temperature. It even has a thing to tell you when it is hot enough: there is a ring at the pan end of the handle, which glows red when the correct temperature is reached. You can see it in a couple of the photos above. For all the chilli-haters out there - of course you can omit the chilli. Just add something that you like instead. Sweet Peppers / Capsicums would work just as well. 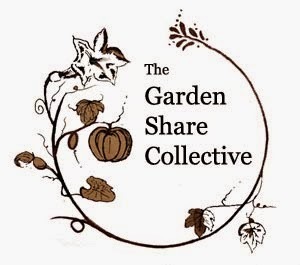 This is my monthly contribution to the Garden Share Collective an expanding community of gardeners across the globe. May has been a very busy month for me, and the garden is now brimming with good stuff. This is my favourite time of year, when all the crops are looking fresh and full of potential, and there is nothing that looks tired and in need of replacing. The Tomatoes are now outside, in big pots. My "Main crop" ones are housed in 40cm self-watering pots like these, and supported by bamboo canes held securely with metal supports. I have six Brussels Sprout plants in and growing away, and I also managed to squeeze in two Tenderstem Broccoli plants (in the centre of the bed) as well, which will mature much more rapidly, giving me two crops from the same bed. I have planted some of my Leeks, following my pledge to do more to extend my cropping season into the Winter months. As many of you will know, my plot is very small, so I have only been able to make room for 16 Leeks. That bed they are in is also hosting a couple of Cabbages (more to be added soon to provide a successional crop), and I will soon be putting in a few Swede Turnips when the seedlings are big enough to transplant. The First Early potatoes have produced a lot of foliage and are looking exceptionally healthy so far. I hope to be harvesting them in early or mid-June. The Chilli plants have been potted up too (into 10" pots) and are now living outside permanently. They are not particularly happy at the moment (not growing much), because we are going through a spell of cool, wet weather. My Asparagus bed is still producing a steady stream of spears. Never enough, mind, but still nice! The Blueberry bushes are laden with fruit, and I'm hoping for a much better harvest than last year, which was exceptionally poor. No ripe fruit yet, but it won't be long. I grow my Blueberry bushes in pots, so that I can move them around as necessary. Soon it will be time to shift them into a place where I can conveniently protect them with a net to keep the predatory Blackbirds off. My garden is primarily dedicated to growing edible plants, but I'm making a bit of an effort to include more ornamentals, which I shall represent here with this stunning Aquilegia. Well that's it from me for this month. Next month I hope to be reporting some more harvests! I don't do only green! Whilst Mark's Veg Plot is still primarily, as it's name suggests, a place for growing veg, my range of ornamental plants is expanding. I want to show you today some more photos of plants of which I am currently very fond. The first of these is my "Dryopteris Erythrosora" fern, whose young fronds are particularly attractive. This will be even nicer when the Lavender that you can just make out in the foreground of the previous photo comes into flower. Hurry up with those nets! I wrote the other day that I was hoping the Strawberries would finish fruiting before the Blueberries ripened, so that I could use my home-made fruit-cage for both. Fat chance! The Blueberries have decided that they will not wait. The copious rain of recent days has made them swell enormously and at the rate they are going I will have to net them within the next few days. I shall have to see what I can find in the shed. I know I have plenty of netting, but the biggest challenge will be to find something suitable to support it. Last year I cobbled together this contraption, using parts of the "Seedling Greenhouse" along with some of the "Build-a-Ball" kit. Leeks are allegedly supposed to be planted out when they reach the diameter of a pencil. I think these are just about there, don't you? Time to choose the lucky ones that get planted in a raised bed. Those plants in the foreground, protected from the cats / foxes by clematis netting, are Radishes. This is my planting method. Using a trowel, I dug a hole about 8 inches deep. Turning the pot upside-down I tapped it firmly to release the plant, complete with its rootball and compost, which I then slipped into the hole before backfilling it with soil. I backfilled the planting holes very loosely, leaving each plant in a sort of saucer-shaped depression. I then watered them in very thoroughly. As the plants grow I will pull the spare soil up around their stems, helping to blanch them. The final part of the procedure was to cover the plants with a couple of my long cloches. I have kept 8 as genuine spares, but the other 18 have gone into those two pots, where I will grow them to use as "Baby Leeks". Seems to me like a reasonable compromise. This is my entry for Harvest Monday this week. To be honest, the harvest has been pretty thin, consisting mostly of lettuce (if you discount the herbs, of course, which are more or less a Given). But what was lacking in quantity was amply compensated for in terms of quality. This is a GOOD-LOOKING lettuce! Lettuces - mostly "Devin" and "Cervanek"
In the foreground here is lettuce "Can-Can". Reminds me of trying to squeeze into a T-shirt I wore 10 years ago! 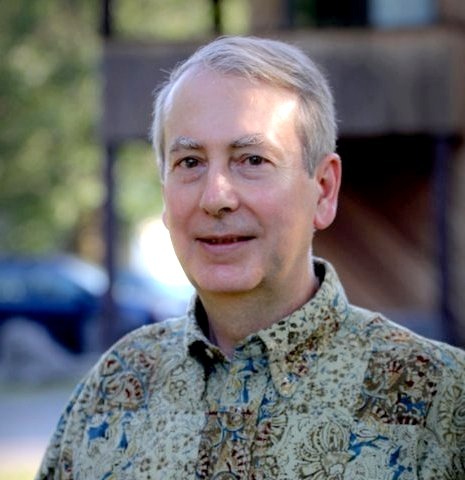 Cucumbers - thriving or surviving?